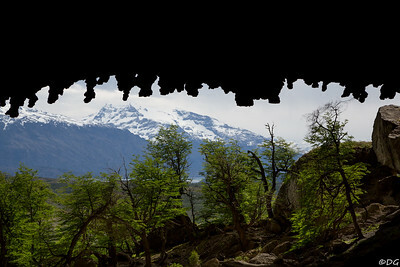 View from Mylodon Cave with Monument Moore in the background. 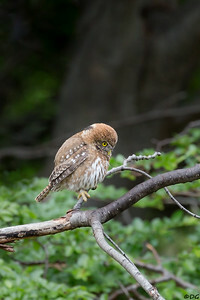 Austral Pigmy-Owl (Chuncho, Magellansparvuggla) near Refugio Grey. 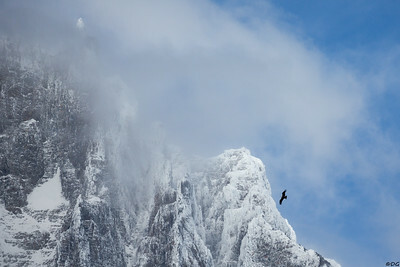 Andean Condor (Cóndor, Kondor) in front of Cordillera Paine. 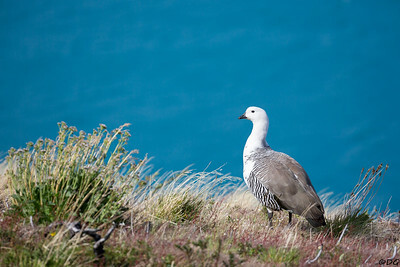 Male Upland/Magellan Goose (Caiquén, Magellangås) in front of Lago Pehoé. 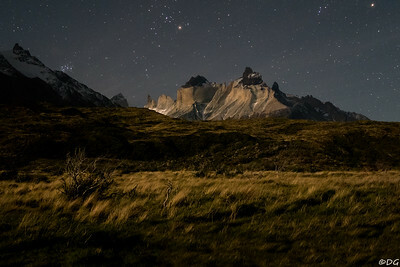 Cuernos del Paine from Refugio Lago Pehoé at night. 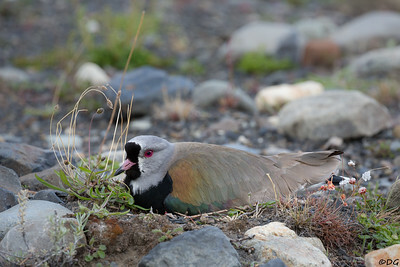 Brooding Southern Lapwing (Queltehue, Sydamerikansk vipa) near Campamento Las Torres.